Vintage jewellery is always appealing and it doesn’t have to be a family heirloom to be cherished. There are many great markets and vintage clothing & jewellery shows to hunt for special pieces no matter where you live. The necklace in the lead photo I purchased at a Toronto show previously the Old Clothing Sale, now called the Toronto Vintage Clothing Sale. The show will be held October 3 and 4, 2015 at the Queen Elizabeth Building at Exhibition Place. I’ll definitely be posting my treasure from the sale. 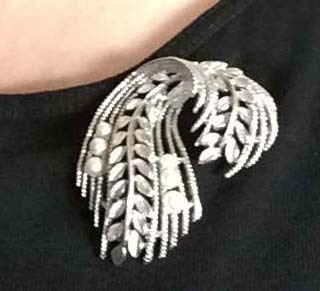 Brooches are a huge trend for FW 2015/16. I especially like the plexiglass and crystal ones from Prada. The brooch to the right was my grandmother’s. She purchased it in Toronto sometime in the 1950s. It’s very fine and elegant with pearl accents. I like to pair it with the more edgy looking double chain link necklace. 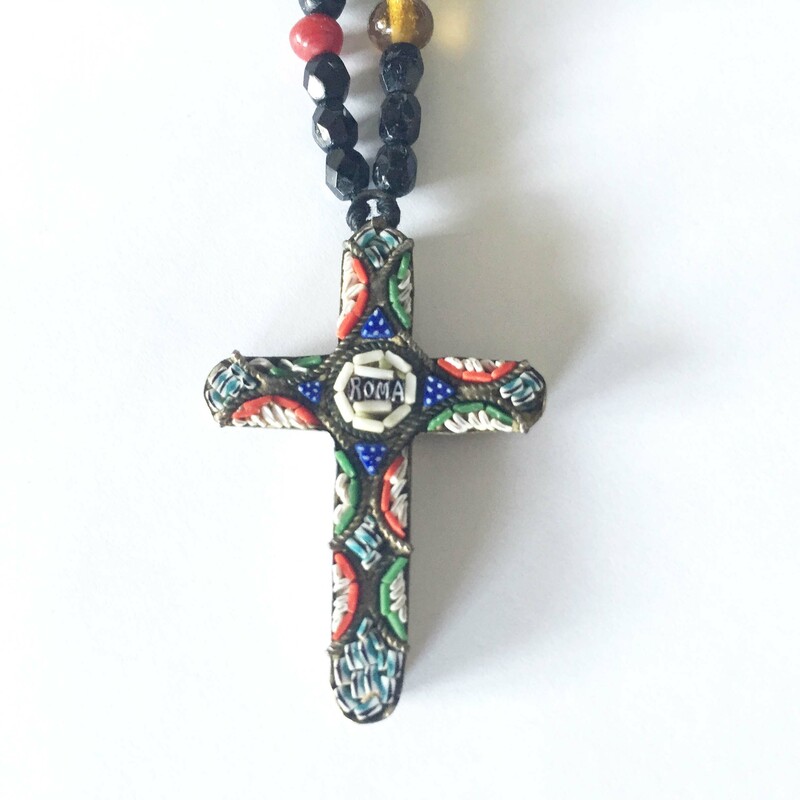 Another interesting piece from my collection is this mosaic cross pendant. I love the colours and the detailed lettering of the word ROMA. It was possibly someone’s souvenir purchase on a visit to that city. I attached it to a string of coloured and jet black beads I had from other necklaces. It reminds me of the Dolce and Gabanna esthetic with their use of black lace and iconography. The Prada brooches provided the inspo to try a paper idea. 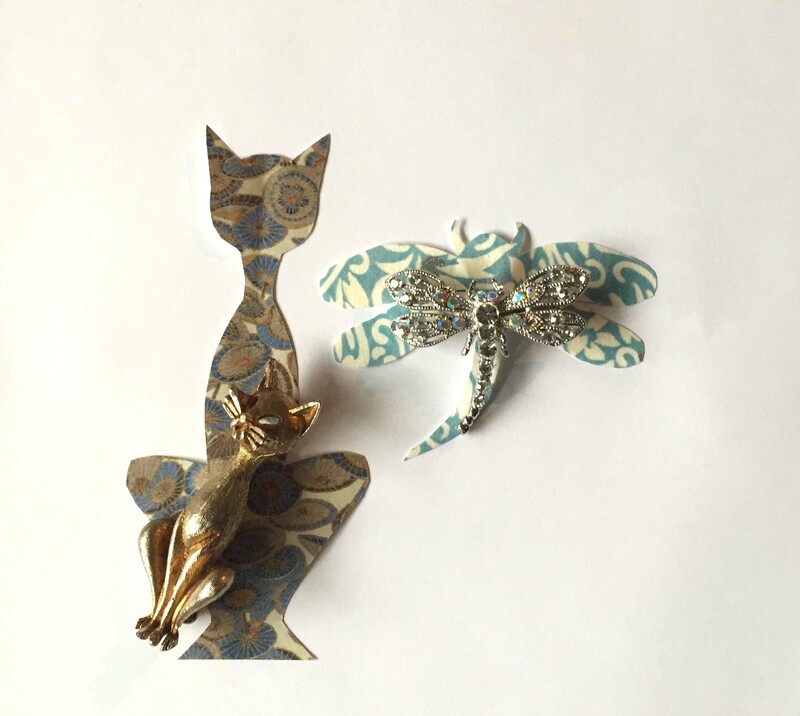 I took a couple of brooches with unique but recognizable shapes and created a paper background for them. Don’t know how they’ll hold up on a lapel all day but it’s worth a try. Here’s another cool paper option. 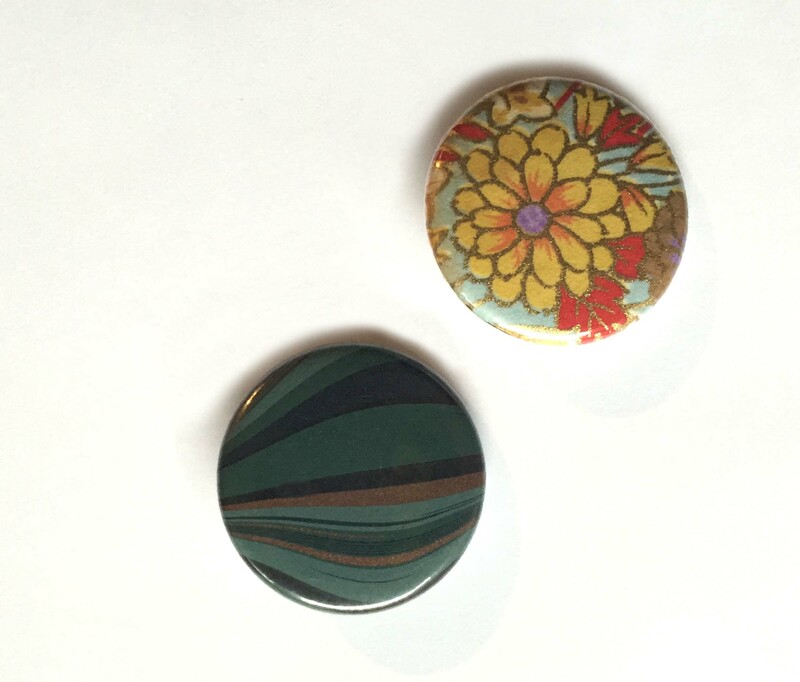 I pick these pins up at The Paper Place whenever I’m stocking up on japanese paper. They look really cool on jean jackets and add a pop of colour to suit jackets. They’re a very unexpected accessory.